Every PSAP in the U.S. is somewhere along the way to full NG9-1-1 capabilities. Selecting the right call management system has never been more crucial. Read through our 5-step primer to help you choose a system that best meets your requirements and suits your budget. 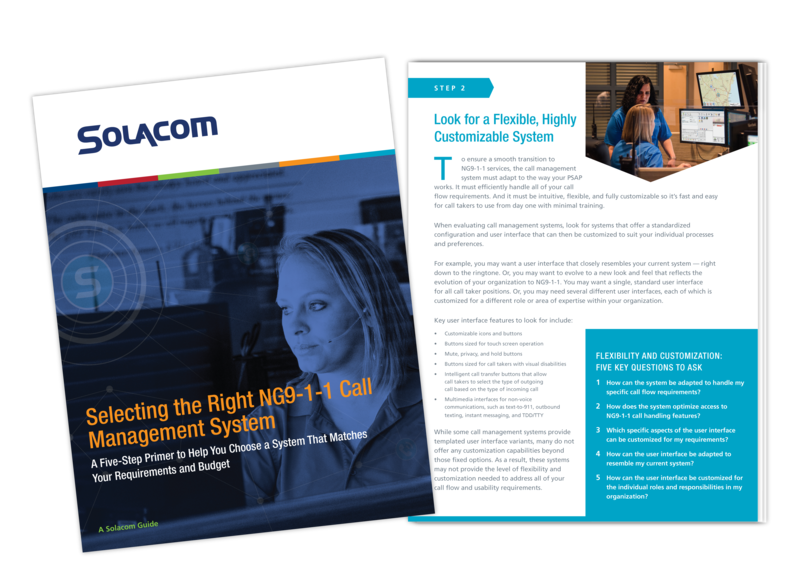 Download the Solacom guide to learn about 5 crucial steps to selecting the right NG9-1-1 call management system that works for you and your organization.